Water testing is too often rushed and overlooked in our industry. A few months ago, I had the opportunity to take the start up certification course for the National Plasterer's Council, hosted by Bel-Aqua. As an employee of Orenda, I work with service techs and plaster companies every week. This course was a wonderful opportunity to soak up information like a sponge, and learn more about the business. Granted, I was not actually supposed to take the course (Orenda was a sponsor of the event, and I am not a service tech), but I was invited to participate. The certification course is taught by the NPC's Director of Technical Services, Greg Garrett. Not only did Greg cover a broad range of plaster topics, he covered an even broader range of water chemistry. This article shares a few of my takeaways from the class. The key word here is accurate. Do you do initial water treatments for new or re-plastered swimming pools? If you do the initial water treatment, you know how important it is to get the water balanced as soon as possible. So tell me...how can you balance the water if you do not have accurate chemistry readings to begin with? You cannot dose chemicals correctly--even with a dosing calculator like ours. After doing the test, Greg, like so many of us would, indicated "0 ppm". After all, the sample water was completely clear. But since the test kit only went to 30 ppm, that "0 ppm" was assumed, and unproven. Lesson learned. I share Greg's story because it is a painful illustration of the shortcuts we in the industry often make. How many of us have ever hurried through testing water? All of us. How many of us have 'eyeballed' the line? Or lost count of the drops? Or never calibrate the reagents in the test kit? I recently made a similar mistake, but thanks to Greg's story, I caught myself, went back and corrected it. I tested the pH of some tap water in Seattle, and it was clearly above 8.0 pH. But how far above? I could not tell with the kit. I am so glad I did not report the 8.5 I originally wrote down. This article is about honesty in water testing. A dosing calculator like ours depends on accurate, honest water testing by you. Otherwise, it's garbage in, garbage out. The basic training manual has a wealth of valuable information in it. 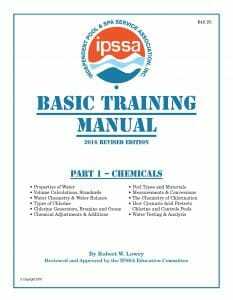 According to the IPSSA Basic Training Manual (pg. 161), phenol red reagent (used for testing pH) only shows pH between 6.8 and 8.4. But the comparator tube stops at 8.0. Any pH below 6.8 will look the same as 6.8 (virtually clear). In other words, if the pH is lower than 6.8, you would never know. That's why using a different test kit is sometimes necessary. 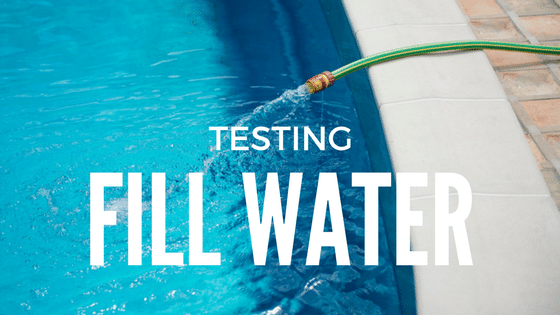 When we visit customers and go to their pools, we test water. If we do not have the necessary kit(s) for accurate water testing, we collect samples in a clean water bottle, and we take it somewhere with a better kit. You may not need to purchase a high-dollar testing machine, as most local pool stores have one. Simply pay for them to test the water for the factors you need. 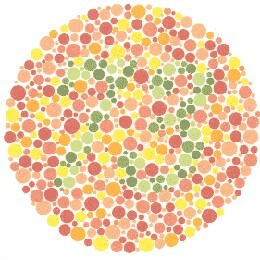 What is a good option for those of us with color blindness? Many of us struggle with red-green color blindness. Can you clearly see the number in this image? If not, consider an electronic test kit. Colorimeters may not be the best option for you. 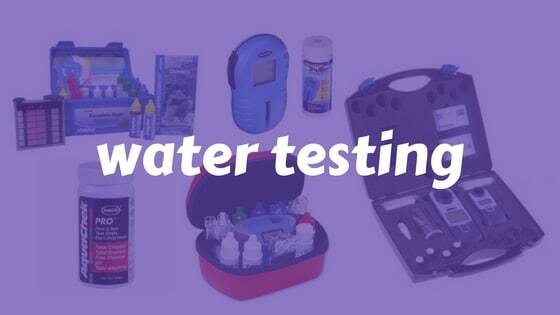 There are four types of water testing kits most commonly used in the aquatics business. If you are color blind (particularly with red-green), consider an electronic photometer to read the results for you. For commercial pools, electronic probes for ORP, pH and chlorine are strongly recommended. Just find the test kit that works for you. This is one of our most drilled talking points at Orenda. Knowing what water chemistry comes out of the tap is paramount for success. This is especially true for pools with auto-fill or pools and spas that regularly drain some water to dilute. For example, if your cyanuric acid levels are too high, draining and diluting is often the most reasonable option. To balance the incoming water, you need to know what's in it. Water testing is the best way to know for sure. Remember, if you're not testing, you're just guessing. Back to those of us who do initial water treatments for startups...accurate water testing of the fill water is critical to success. Another way to find out what is in the tap water is to request the test results from the water treatment company. Municipal water treatment plants are required by law to test their water, and it is public information. Just ask, and you shall receive. Tell them what you're looking for too...don't just ask for pH, alkalinity and the basics. Get everything you may need, including metals and phosphates. Customers depend on you to manage water the right way...just like we expect a carpenter to measure before he cuts, and a plumber to seal every pipe watertight. Accurate, honest water testing is the first step in getting there. Thanks for your time. Pool Winterization Water Chemistry LSI First. Range Chemistry Second.